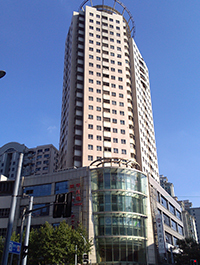 STRUMIS China is delighted to announce relocation to a new Sales and Support office in Shanghai, China. This new office move will enable the STRUMIS team in China to respond pro-actively to the ever increasing demand for STRUMIS products from within the region. Experienced staff will maintain and continue to assist the considerable number of valued clients and expected new users of STRUMIS software throughout China. As a result of the increased productivity associated with STRUMIS' product portfolio, this space expansion has been necessary to make additional room for increased numbers of staff working on our software titles. These increased staff numbers reflects our commitment to the international structural steel industry and wider construction sector and is a sign of our aim to deliver unparalleled competitive advantages to our growing number of clients in China. The new Shanghai office is perfectly situated to continue to develop this market and being staffed by experienced and knowledgeable industry professionals that can advise and assist clients with enquiries and new investments.